on this page all work together. A whole-house sound system distributes music and audio programming to speakers installed in multiple rooms of your home. 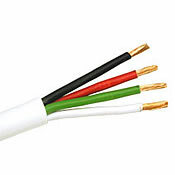 RF amplifiers, hubs, routers and audio amplifiers require power ranging from 5VDC to 12VDC for operation. Power supplies and outlet strips consume valuable space within the enclosure. 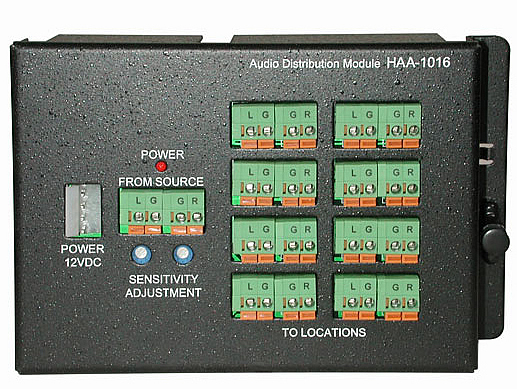 DC Power Supply Modules by Impact Acoustics™ provide 12VDC, 7.5VDC and 5VDC regulated power for active devices. Overload and short circuit protection from a clean high power source. Three fixed 12VDC outputs and one switchable 7.5 or 5VDC output for most DC powered devices. 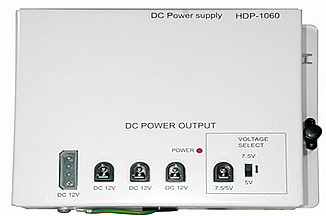 DC Power Supply Modules by Impact Acoustics™ provide 12VDC, 7.5VDC and 5VDC regulated power for active devices. Overload and short circuit protection from a clean high power source. Three fixed 12VDC outputs and one switchable 7.5 or 5VDC output for most DC powered devices. Whole-house audio distribution is made easy! Stereo Volume controls are ideal for use with whole-house sound systems. Locate the volume control within the room where the speakers are located for easy control of background sound levels. 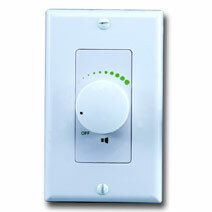 These volume controls are compatible with 8Ohm in-wall, in-ceiling or free-standing speakers.